A wild ride was in store after Master T.C. & The Visitors collaborated with director Anthony “Rory” Tran (ART A Reasonable Truth aka Trippy T) on his upcoming psychological thriller Obliquity: Imagery of the Unknown in 2011 by contributing the thematic single “La Dee Dah”. When other songs like “Gotta Be Free” were also submitted, ART felt like something could enhance the intro. He wrote a rap, recorded it and submitted it to the band who then liked it so much, that they got it mixed and mastered by a music connection at Atlantic Records – and soon after announced it as their newest single with the music video premiere here on Martin Luther King Jr. Day. 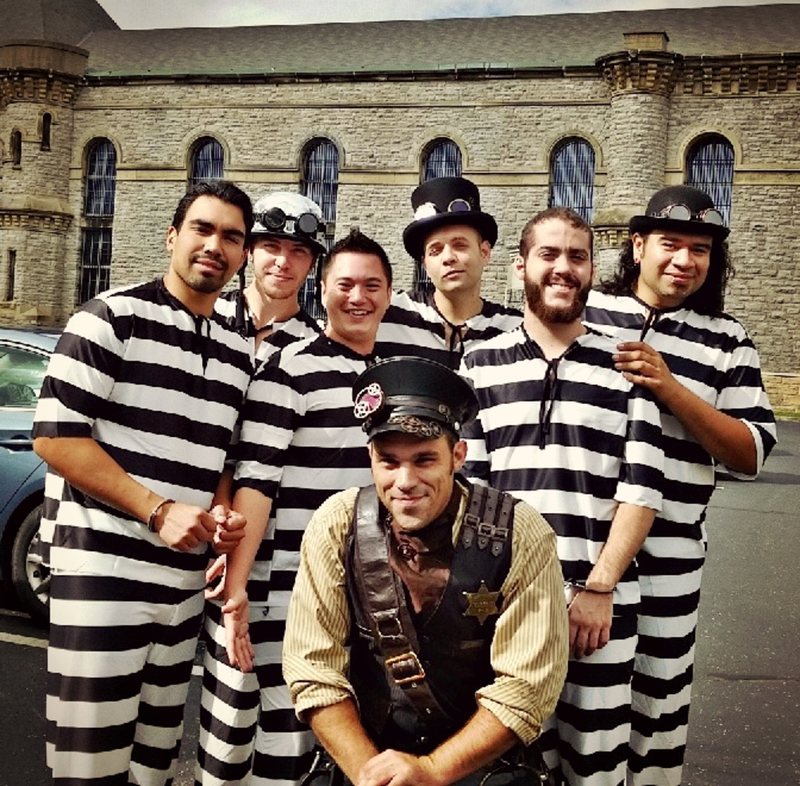 The video was shot at the infamous Ohio State Reformatory prison where Hollywood movies like Shawshank Redemption, Air Force One and the new Sylvester Stallone movie Escape Plan 3 was filmed right after MTCATV. Lil Wayne’s “Go DJ” music video was also filmed there. ART flew from Los Angeles back to his home state to perform his part last August. The video features Victorian costumes and a jailbreaking storyline. As ART finds a way to escape the prison-vibes of society, can he help free Master T.C. and the Visitors from the enemy guard played by Billy Sunday? ART currently has released 2 singles for his upcoming 11 track debut album Centerpiece including the club banger “Get Down With It!” and the hip-hop chill jam “Centerpiece” with a Febraury 9, 2K18 album release date. The third single “Ready” will release next Friday on the 26th and there may be up to 3 more songs planned for single releases from the record.